Here we’ll talk about the AAA cell phone discount for seniors from providers like Affinity Cellular, Sprint, and Verizon Wireless. 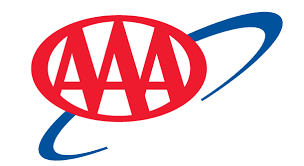 AAA members can get discounts on monthly cell phone service fees, phones accessories. Also, they can get other and other benefits such as free calls to the AAA Emergency Roadside Assistance. Affinity Cellular is the official AAA cell phone provider. It offers a discounted cell phone plans along with other benefits for the AAA members for over 25 years. Let’s look at the Affinity Cellular plans. Freedom mega plans from Affinity Cellular include talk, text, and data packages and allow you to share any of the below plans with up to 5 lines, each line will cost $10 per month. Only the unlimited plan is available for just one phone. 250 minutes, Unlimited Text, 500 MB for $20 per month. 1500 minutes, Unlimited Text, 1 GB for $25 per month. Unlimited minutes, Unlimited Text, 1 GB for $30 per month. Unlimited minutes, Unlimited Text, 2 GB for $35 per month. Unlimited minutes, Text, data $45 per month (available for one phone only). Freedom plans from Affinity Cellular include minutes only and allow you to share any of the below plans with up to 5 lines, each line will cost $10 per month. 10 minutes for $10 per month. 350 minutes for $15 per month. 1500 minutes for $20 per month. Unlimited minutes for $25 per month. Also, you can add text messages package starting from 100 texts for $1.5 per month. 45-day money back guarantees if you’re not Satisfied. No termination fees so, you can cancel anytime. Special cell phone plans for AAA members with only $22 per month for each line. The ability to change your monthly plans. Lifetime warranty for any cell phone you buy from Affinity Cellular. Free calls to the AAA Emergency Roadside Assistance. As Sprint states on their website, AAA members can enjoy a discount on the monthly service price, phone accessories, and can enjoy a free AAA Classic membership renewals. Check out the Sprint AARP discount. $5 per month discount on Unlimited Freedom. Data service has 10% discount per month. 25% discount on specific cell phone accessories, brands such as Apple and some iconic phone accessories not included in this offer. Get a Sprint Family Locator mobile application for free, for up to five phones/account. Check out the Sprint Senior Discount. This is a frequently asked question, here is the answer at Verizon AAA discount. Does T-Mobile Offer AAA Cell Phone discount unfortunately, there is no AAA cell phone discount from T-Mobile at the current time.